Depression has often been listed as one of the conditions that cannabis compound cannabidiol (CBD) is effective against, and this has been reaffirmed with a new study on rats that shows symptoms of the mood disorder can be reduced with a single dose. Depression is one of the biggest health concerns in the West and around the world, with latest estimates from the World Health Organization (WHO) showing that 300 million are affected to varying extents. Between 2005 and 2015, global cases of depression rose by 18 percent. Developments in mental health medication have been notoriously slow, with the last significant advancement in treatment coming over 30 years ago, with a class of antidepressants called selective serotonin reuptake inhibitors. But the resurgence in cannabis research has been fascinating, and solutions to once untreatable conditions are now being found with the cannabinoids in the plant, which are able to interact with the endocannabinoid system (ECS), a network that arches over mental and physical health. Research has shown that the cannabinoid receptors from this system are expressed all around the body. CBD is a remarkably effective regulator of the ECS. CBD makes multiple interactions with the ECS, with the complexity and subtleness of these interactions showing just how powerful the compound can be. CBD’s main responsibility is to regulate various mechanisms in the ECS, to make balance in this system and throughout the body possible. This can be done in several ways. Firstly, CBD improves ECS functioning by upping the concentration of anandamide, an endocannabinoid that is also a neurotransmitter. This chemical is key to boosting mood and also suppressing the perception of pain. CBD also reduces or increases the binding affinity of g-protein coupled receptors, including CB1 and GABAA. In the former, CBD inhibits the receptiveness of CB1, which helps to manage symptoms of psychosis and also decrease appetite. The cannabinoid does the opposite with GABAA, increasing its receptiveness so that more GABA neurotransmitters can bind to these receptors. The research, which was carried out by Brazilian and Danish researchers, found that the benefits of CBD for depression became apparent on the day of treatment, and that the effects remained present for up to a week. Given that the most common medication for depression, SSRIs take many weeks to show therapeutic effects, if they even do so at all, these new findings are especially intriguing. The study subjected the rats to a “forced swim test” after being administered CBD – the results showed that CBD produced both acute and sustained antidepressant effects. After the treatment, synaptic protein levels in the prefrontal cortex increased, signalling the return of depressive symptoms. Professor Samia Regiane Lourenco of the University of Sao Paulo thinks that this discovery shows that CBD can help to repair the neuronal circuitry that gets damaged in depression CBD also boosts a neurotrophin called BDNF which is essential for neurogenesis. Mental health has always been central to discussions surrounding cannabis, with many in the media determining the herb to be detrimental to this crucial aspect of our wellbeing. However, the science tells a much different story on medical cannabis, especially with the CBD compound. There are indications that those predisposed to conditions such as psychosis and schizophrenia could find these triggered by the psychoactive properties of cannabis, yet these are reserved to tetrahydrocannabinol (THC) – while a therapeutic cannabinoid, THC can also be abused, with up to one in 10 cannabis users becoming dependent on the herb. However, CBD does not cause volatile shifts to a person’s state of mind or provide the spark for mental health disorders; instead, it has a soothing effect on mental health, promoting relaxation, reduced stress and anxiety, as well as more manageable depression. CBD has been found to reduce inflammation of the brain, which may cause shrinkage in the hippocampus, something that is common among patients with depression. Furthermore, CBD works with CB1 in the ECS and is an agonist of the serotonin system’s 5-HT1A receptor – both of these have links to mood and are prominent areas of research for anxiety and depression treatments. With so many types of CBD available, the choice can be overwhelming for those who’ve never previously experimented with cannabis-based products. For those who are not averse to vaporizing, CBD vape oil and e-liquid both provide significant benefits, and quickly. The potency of CBD and the speedy onset of effects that is offered with vaping is ideal for depression patients when they are feeling at their worst. The quick pick-me-up that comes with a surge in anandamide provides temporarily relief from negative thought patterns that are notorious for compounding depression issues. However, as the benefits of vaped CBD wear off after two or three hours, re-dosing is often necessary. To alleviate the worst symptoms of depression over a prolonged period, CBD capsules could be more beneficial. As well as offering the utmost discretion – these look just like any other tablets – the effects, while not immediate, remain for several hours. Patients with major depressive disorder may require an even stronger hit of CBD to break out of a slump – in these cases, dabbing CBD concentrates such as crystals may be the way to go. 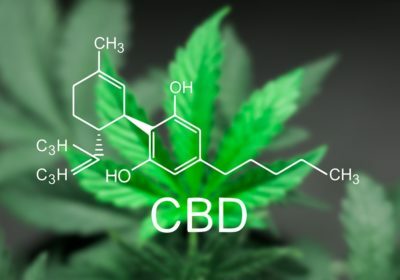 Whatever the CBD product, the effects are typically notable from the first dose, which allows patients to quickly establish whether the CBD is making positive changes, if the dose is potent enough or if a different type of administration is needed. These luxuries are not afforded with SSRIs, which usually need to be trialled for many weeks. This latest study marks another encouraging finding for cannabis researchers, who have uncovered many incredible medicinal properties of the plant in recent decades. With depression and mental health growing issues for all societies, any tools that can help with the battle are welcome. While further de-stigmatization of cannabis is necessary, let’s hope that the science prevails.